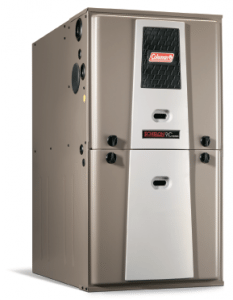 Did you install a new energy efficient furnace or ductless system in 2015? If so, you may qualify for Federal tax credits that can be taken when you file your taxes. Congress has renewed these credits, which have benefited homeowners for the past few years. It’s a great bonus on top of the energy you will save on your heating bills. Fox Plumbing & Heating is here to help you understand these tax credits. There are tax credits for several categories of energy efficient home improvement from solar energy to windows to heating and air conditioning. Have a qualifying high efficiency product installed in your primary residence. This is excluded in new construction. Have not taken this specific tax credit previously, or claimed less than $500. There is a $500 lifetime maximum. The good news is that many high efficiency furnaces, heat pumps and central air conditioners qualify for the tax credit, plus most tankless and heat pump water heaters. Fox Plumbing & Heating’s HVAC technicians and journeyman plumbers install several models of Coleman furnaces, Daikin ductless heat pumps and Navien tankless water heaters that qualify for these tax credits. Only top efficiency performing systems qualify. For example, today’s gas furnaces come in a range of heating efficiencies from 80% to 98%. Furnaces reaching 95% efficiency or higher will qualify for this tax credit. The efficiency rating is listed right on the equipment. It can also be found in the instruction manual or on the manufacturer’s website. And our professionally trained HVAC Specialists will make you aware of the efficiency rating when discussing your options. Each type of equipment has a different abbreviation for its efficiency rating, but they all basically describe how good the equipment is at consuming fuel. For gas appliances, AFUE (Annual Fuel Utilization Efficiency) is the rating to look for. An AFUE of 95 means the product is 95% efficient. For water heaters the rating is EF (Energy Factor). For heat pumps the key rating is HSPF (Heating Season Performance Factor), and for air conditioners it’s SEER (Seasonal Energy Efficiency Ratio). Don’t worry about the definitions; just match your product’s efficiency rating to the chart below to see if it qualifies. How Much Can Your Federal Tax Credit Be? Heating and Water Heater products have fixed rate tax credits as shown in the chart below. Other qualifying home improvements are at different rates and can be found at Energystar.gov. Will I Qualify For The Federal Tax Credit? Fox Plumbing & Heating Professionals help you determine whether your HVAC or tank of tankless water heating equipment qualifies, but only your tax professional or the IRS can confirm your personal eligibility. In order to take the tax credit, there is an additional form that will need to be filed out with your taxes. Your tax advisor can do this electronically as part of the e-filed return. Online tax software like, Turbo Tax may also provide this option as well. Fox Plumbing & Heating is your Seattle and King County source for energy efficient HVAC and water heating products. To learn more about energy saving heating and cooling, contact us today! Fox Plumbing & Heating’s journeyman plumbers are experts at sizing and installing tankless water heaters to fit your home. 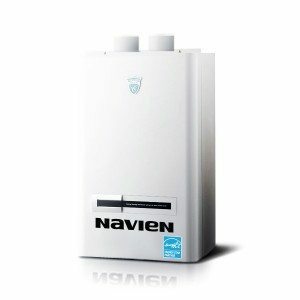 For an estimate or to see if a tankless is right for you, contact us. Fox Plumbing & Heating’s journeyman plumbers are here 24/7 for all of your plumbing needs. They are experts at sourcing and installing the latest plumbing fixtures. Contact us for more information about these and other toilet products.